If you read my blog, you know I’m a huge fan of Jennifer McGuire. She just launched the first week challenge where the only thing you need to do to participate is to do something HANDMADE for family or friends: cookies, a card, a cake, a bag… anything that is handmade and come from the heart. 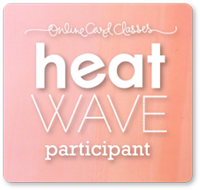 I always try to send cards out to thank friends and family or just to let them know I’m thinking about them so I’m really happy about this challenge. For the card I’m giving to my Mother I’ve used a stamp set from La Vida en Scrap called “Pasan las Horas” and I’ve created the background with the little acorn embossing it with white fine detail powder. Then I’ve used some of my Neocolor II for the background; I’ve used Autumn colors like brown, orange and red. 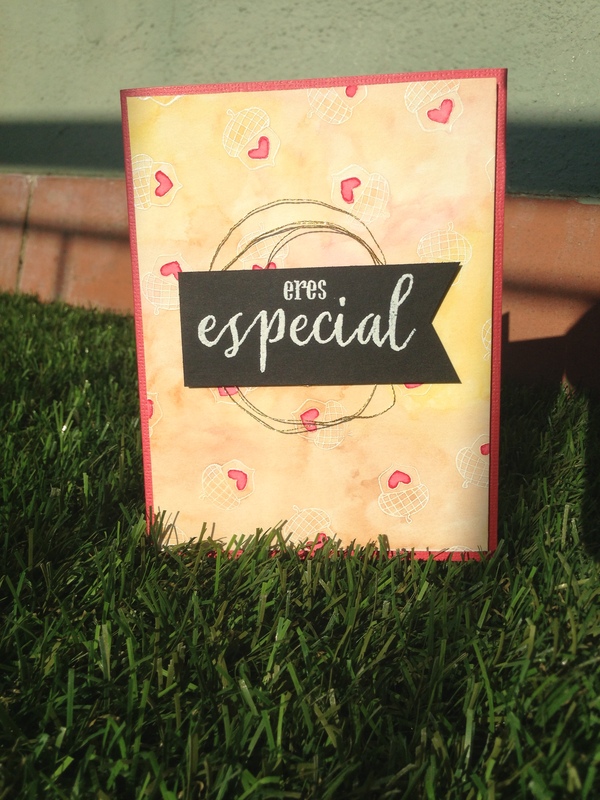 For the sentiment I’ve stamp “eres especial” from a stamp set from La Pareja Creativa using the same embossing powder as before. 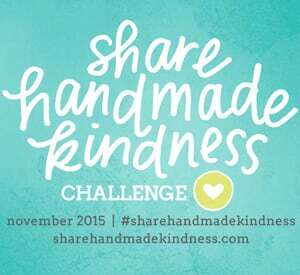 I hope you like it and I encourage you to join the challenge. This entry was posted in Cardmaking, Embossing, Friendly Card, Watercoloring and tagged La Pareja Creativa, La Vida en Scrap, Neocolor II, Ranger. Bookmark the permalink.